Digital leadership for the future - DigitalQ Consulting & Coaching, Toronto. Originally posted on LinkedIn Nov 2, 2018. Last week, I was privileged to share my point of view with an esteemed group of emerging digital marketing leaders. My presentation focused on the future state of digital analytics, and what innovation will have in store for future job seekers. Here is my perspective. I hear the word “agile” all too often these days, and this buzzword has really picked up in frequency. However, for the sake of my discussion, I define agile as the ability for teams and business units to pivot, to change direction, and to course correct by making quick decisions with some form of credible information. This could be as a result of competing market forces, offers or new innovations that pose a challenge to an existing source of business revenue. I’m sure you’ve already heard the saying that the only “constant” is change? Well, the reason why organizations are striving to become agile is to compete more effectively, and when I’m asked what soft skills one needs when searching for future leadership roles, my belief is that it comes down to being resilient, being adaptable to change, giving up control and being open to new experiences while working across a multitude of people, perspectives and teams. 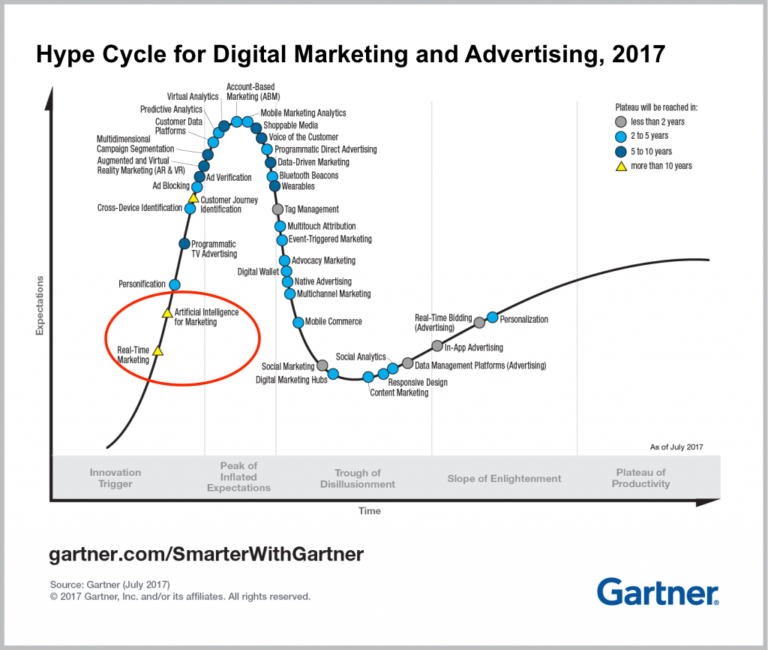 To aid with the processing and output of actionable insights, digital platform providers, specifically the marketing platforms, are developing artificial intelligence capabilities. This is not intended to take jobs away from businesses, but instead, to enable and serve the growing demand for on the spot, quick decision making, thereby reducing the time and effort it takes to analyze information from multiple sources of data. In today’s global operating environment, no matter how capable a platform and team is, by the time a point of view is developed using data, something external or internal will impact the process underway and quickly override a decision being formulated. Looking to the future, and in Canada alone, there are a multitude of AI startups working to solve this problem not only in digital marketing, but across other industries and functions. These startups also want to make it easier for product, innovation, and customer facing teams to make rapid decisions with the use of many more sources of data. 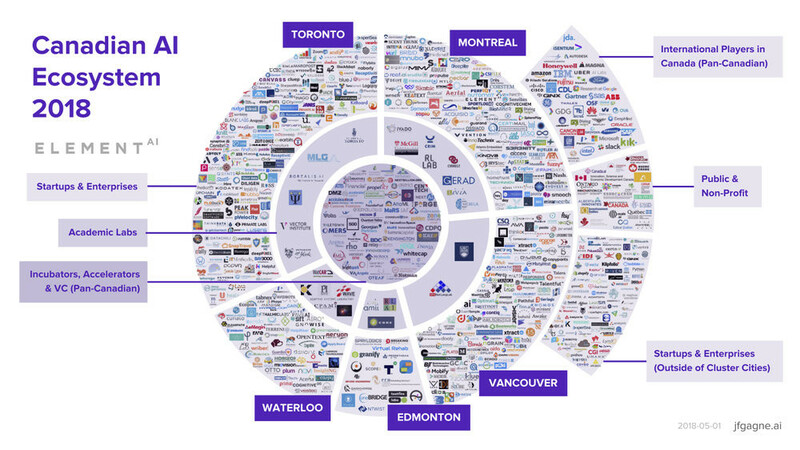 For more info, take a look at the fantastic ecosystem post from Jean-François Gagné (image below) to see how far reaching the Canadian AI space is. In essence, it’s a slog when a team has to go through various cumbersome systems and pull information. So, what if AI simply analyzed the data and produced a few recommendations? 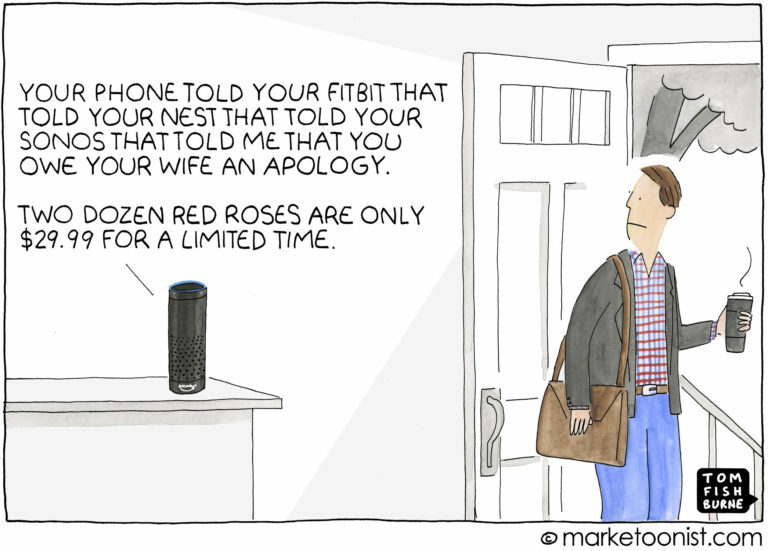 Well, my friend Tom Fishburne, author of Marketoonist gives a hilarious sense of what’s in store for the Internet of Things without boundaries on privacy for humour! Back to my original advice, technology assists like AI will mean that teams will move away from using siloed reporting processes and move to a future of strategic decision making as a collective. Job functions in companies are evolving to allow for multiple points of view and to arrive at joint decisions between teams and groups versus going it alone. Individuals will be empowered to customize artificial intelligence capabilities to their roles, and data analysis will become the “new normal” for digital positions. Take this leap forward and the required soft skills will be how well you work with peers across business units to apply diversity of thought and aid in the decision making process. The sought after skills to adopt in practice are being open to multiple perspectives, processes, insights and points of view to collaboratively shape a perspective. I believe the companies you want to work for and to future proof with are organizations invested in creating the right protocols of empowerment, where leaders allow for teams to make rapid conclusive decisions and move forward to action, reducing the cost of inaction. This is agile. “First, never use a one-size-fits-all decision-making process. Many decisions are reversible, two-way doors. Those decisions can use a light-weight process…. Second, most decisions should probably be made with somewhere around 70% of the information you wish you had. Rahim is the founder of DigitalQ, a coaching and consulting practice focused on shaping digital leaders of tomorrow.